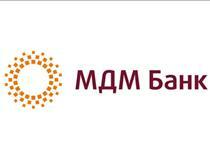 MOSCOW, Jun 30 (PRIME) -- Mikail Shishkhanov and Mikhail Gutseriyev, shareholders of Russia’s B&N Bank, have signed an agreement to acquire a 58.33% stake in MDM Bank from Sergei Popov, the banks said in a joint press release Tuesday. “Under the deal, 100% shares of MDM Bank were valued by the sides at one capital of the bank,” they said. The bank’s capital stood at 29.188 billion rubles as of June 1. The deal will be completed during the next three months. “We will approve plans for further strategic development of MDM Bank as part of our banking group until the end of 2015. Operating integration of the banks will be carried out in the next two­ to three years,” Shishkhanov said. Shishkanov will become CEO of MDM Bank and will give the post of B&N Bank’s president to Alexander Lukin, who is now the bank’s first vice president. “A merger of MDM Bank and B&N Bank will lead to the creation of a bank with significant financial resources and a favorable competitive position on the Russian market,” Oleg Vyugin, chairman of MDM Bank’s board of directors, said.